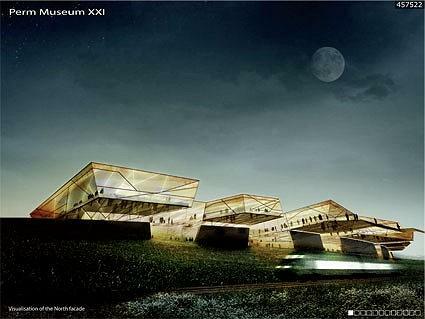 The organizers of the PermMuseumXXI contest call it a most ambitious in the new Russia, and they have true reasons for that. This is the first open architectural contest organized for Russia, in which took part Russian, as well as foreign architects, including the “stars”. The first stage was held in summer – the experts examined more than 300 portfolios of architects from 50 countries, and picked 25 studios that took part in the second stage – projected the museum. 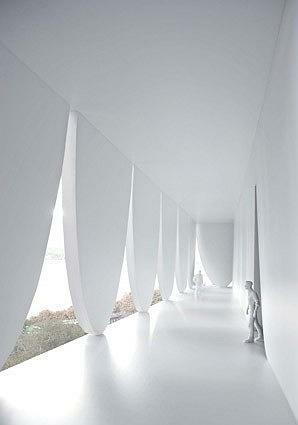 These architects were taken to Perm, were shown the collection for which they would make project. 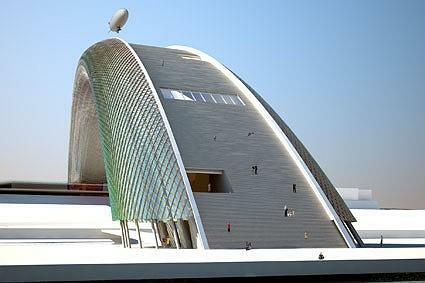 The museum is expected to become a symbolic object that will transform that sad part of the town and attract tourists. In short, to become a “Permsky Bilbao”. 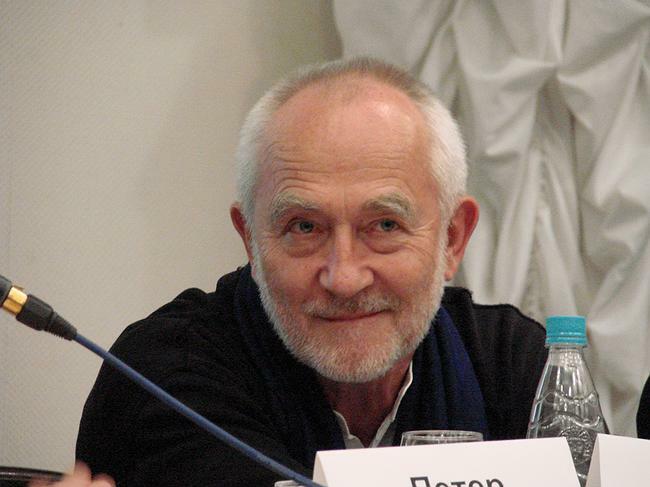 Peter Zumthor, the president of jury, made the task even more difficult: he is sure that such kind of contests must create not only a symbolic object, but discover new names – help to promote young and gifted. So, theoretically, a project of “not a star”, or rather the future star, was expected to win. On the 24th of March the envelope with voting results was opened and it appeared that the two objects gained the equal number of points. So the first $100 000 and the second $ 70 000 awards were added up and each winner got $ 85 000. The two winners are Boris Bernaskoni and Valerio Olgiati. 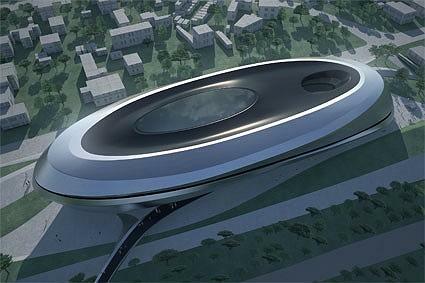 It is not known yet who will continue the project and construct. 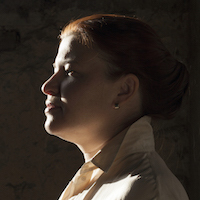 Irina Korobina, the director of the Centre of modern architecture, said that Ministry of Cultural Affairs of Permsky krai, the developer, took time-out and is considering the further steps. The project by Valerio Olgiati, the Swiss architect, is a tower, interesting outline of which consists of 7 or 8 rectangular layers of different width thread onto the single core. 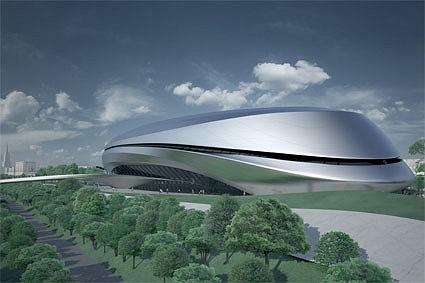 All the facades have equal half-ovals and they resemble a giant flattened fringe. This shape reminds of the palace Alvorada by Oscar Niemeyer or even more of something from Soviet period. Like, a collective image of Breznev museum was taken, than multiplied in different sizes and than these clones were disorderly staged onto each other – there shaped a kind of disorderly pyramid. But the building is quite tall (many projects are made closer to the ground), views to Perm surrounding, to the town and the Kama open from large windows. Speaking about this project Peter Zumthor noticed that all the Russian members of the jury hated him from the first sight. Than, answering Sergey Khachaturov’s question – what were the criteria for the choice of this pagoda? 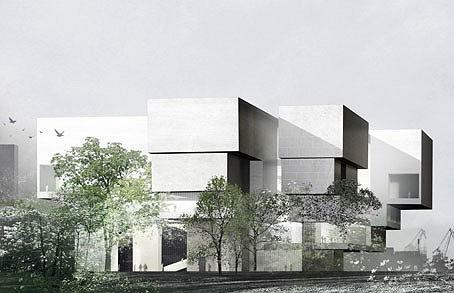 – Zumthor said that the building is “growing like a tree” and opens the views around it. Probably, noticed the president of jury, the Russians saw something from their Soviet past in it. 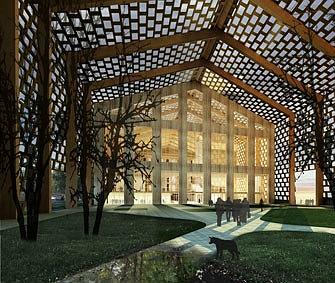 The Russian members of jury called it kitsch but Peter Zumthor sees it as a challenge. “I thought, the Russians would like it…” – said the president of jury, and added: this might be due to the difference in mentalities of Europeans and the Russians. And we add that here might be an influence of the image of Russia as something soviet , serious but ornamental. Ornamentally-serious and so growing like a tree, without particular rules, its very orientally. Viollet-le-Duc, the French restorer of the XIX century, constructed Russian domes and “hills of kokoshnik” in Indian architecture. And here – if “pagoda” – we have something Russian-Chinese. Someone of the audience said – a hint on the nearest future… Such image of the Siberia does not seem to be a result of a thorough consideration of the context. It is rather based on the believe that “there is much snow”. 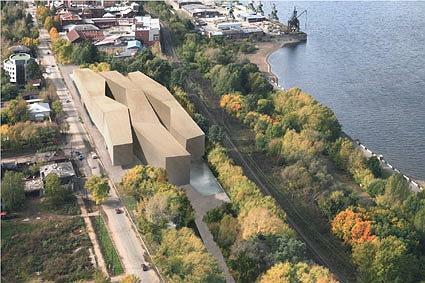 Well, during the discussions over the contest Peter Zumthor suggested an interesting idea – to build a special and minimalist building for the Perm collection of wooden sculpture, which is the main treasure of the museum. The idea seems to be fine but it has not been suggested in the frame of the contest. 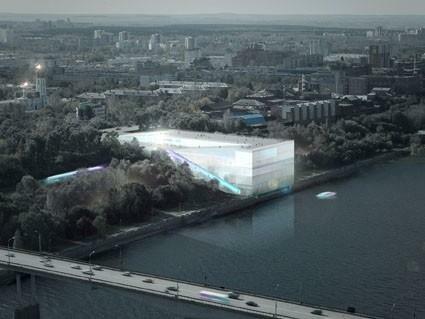 If take the main treasure of the Perm collection to a separate building then what will remain there? The Central House of Artist? 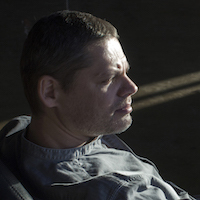 The equal winner – Boris Bernaskoni – in Moscow is mostly popular due to due to his conceptual extravagant works. Last ArchMoscow he presented the museum of Tsereteli as a monument to Peter the Great, taken to a glass parallelepiped; a year before that – a house-matreshka. The architect is popular but has no significant constructions. For Bernaskoni, in this meaning, the win (or half-win) on the Perm contest is an important event and it responses to the plan of Zumthor to promote the new names. Boris Bernaskoni is the youngest of all the Russian participants (he is 37). The Perm museum in the variant of Boris Bernaskoni is a parallelepiped glowing in the night. One of its sizes is turned to the river – the project includes the complete development of the bank zone, its transformation into a real quay (and this was one of the main value). Along the “long” sides there are wide and stretched symmetrical rampants that lead visitors to the roof. The peculiarity of the project is that it supposes railways in the interior of the museum, arranging a station inside, visitors will probably get directly to the museum from there. 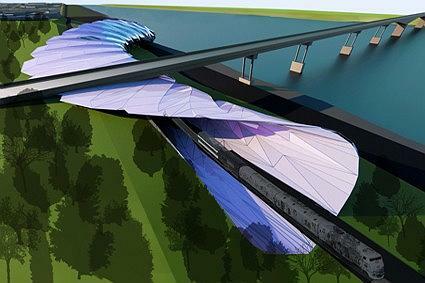 This idea that reminds of an airport, made the journalist Grigory Revzin doubt whether such experiment would not be prohibited by the Russian standards of design and engineering. 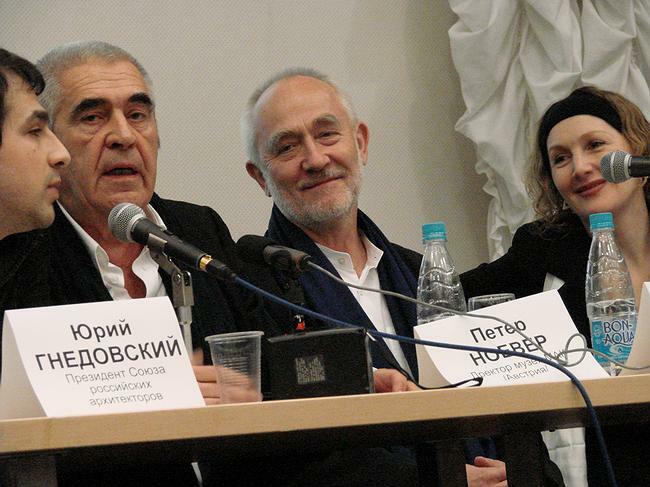 Answering the question Irina Korobina quoted Peter Zumthor “rules are for people and they can be corrected if it is necessary”. 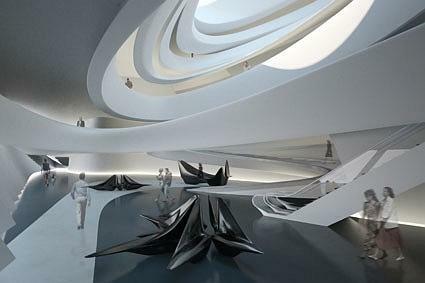 The third award ($ 50 000) was given to Zaha Hadid, and thus was shown the preference of the young against the recognized “stars”. Her project is impressionable as always, but more relaxed and calm as usual: the well-known figurable shape is folded into an oval ring. Such “plainness” seems to be a response to the Peter Zumthor’s line, he repeated it on the press-conference that he was against impersonal “star” architecture, but after the local uniqueness and the context. And this was one of the criteria voiced by the jury. 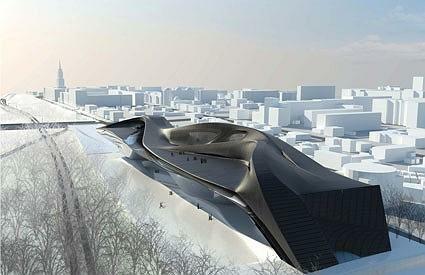 The example is of Hadid is telling. The results of the second stage show an interesting tendency – the jury seemed to be unwelcome to curvilinearity. 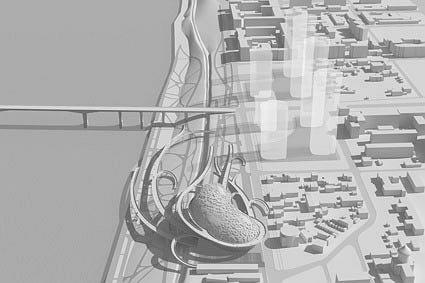 Beautifully and plastically drawn project of Asymptote was given just an encouragement prize, the brilliant Zaha curled up and got the third prize, and the first award was shared between the dramatically rectangular projects. It’s like they declare they are rectangular. Is that a shift of style priorities? Or is that how foreigners see the Russian context, or how the Russians see themselves? Or is that longing for avant-garde that was mentioned by Yuri Gnedovsky? It is hard to say why but popular digitality is suddenly kept down. It might be that very international style against which warned Peter Zumthor. 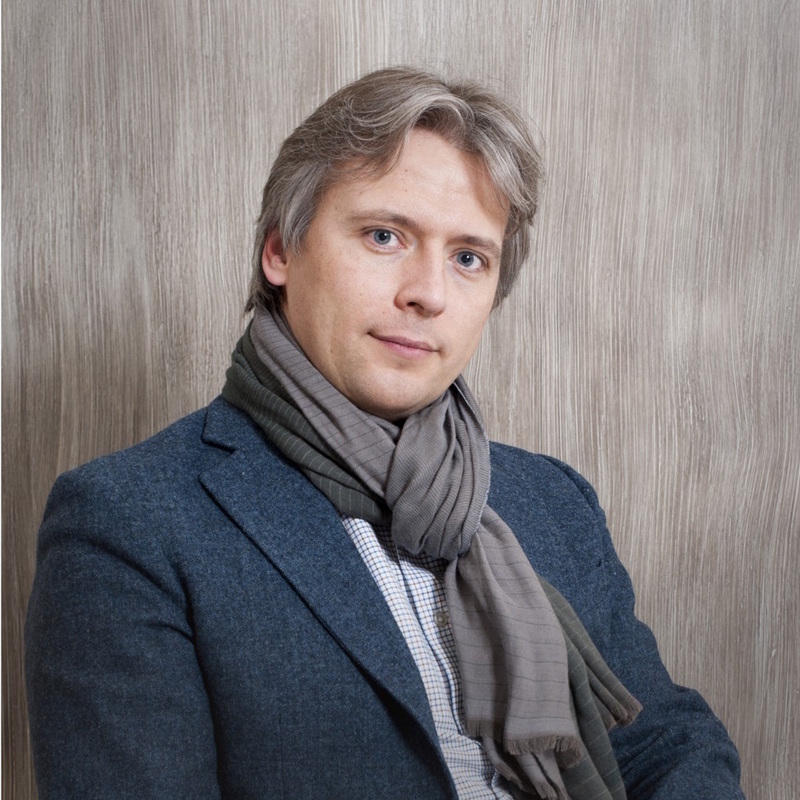 There was the other criteria mentioned by Aleksandr Kudryavcev – the preference was given to the projects that could be implemented. 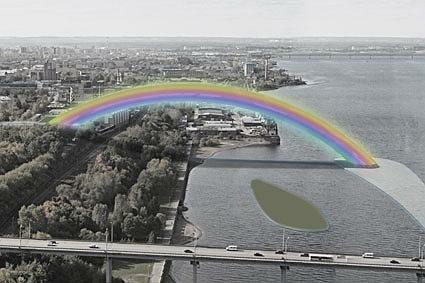 Probably, this is why the project by Totan Kuzembaev in the shape of bridge-rainbow, thrown over from the bank to the island in the Kama, got only the encouragement prize. Though, to my mind, it would be symbolic: clear image is full of emotions and meanings – rainbow is the symbol of hope, and here it could be understood as a hope for renewal of the town. Still, the symbol is too well-known and might be another reason the project did not win. 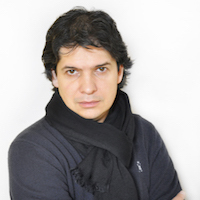 The other foreign member of jury is the director of museum MAK Peter Noever said about the work: “fortunately I have survived” and hinted at the extremely intensive discussions, and it was very hard not to fail to meet the quorum because a few members of jury refused. 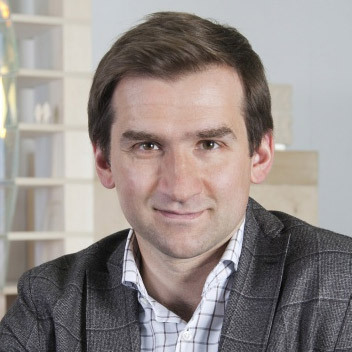 Arata Isodzaki was not in jury because of illness; Mikhail Piotrovsky, the director of Hermitage, voted by e-mail, but the jury did not accept it because it was via Internet and focused on live debates on projects. Oleg Oschepkov, Minister of Cultural Affairs of Permsky krai also did not take part, he was removed from the post that time. 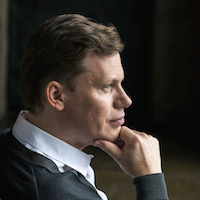 Nadezhda Belyaeva, the director of Perm are gallery was voting instead of Piotrovsky, and senator Sergey Gordeev, the founder of the fund “Russky avangard” [Russian avant-garde], could vote instead Oleg Oschepkov. Ben van Berkel, an architect from the Netherlands refused three weeks before the start of the contest and his right to vote was not given to anyone else. Irina Korobina, the director of the Centre of modern architecture, said all the replacements were done according to law and we managed to make the quorum. Also Peter Noever added: “it is sad that we failed to give clear recommendation” and this is sad indeed. We can be joyful for the both finalists of the second stage, but there inevitably goes the third one. 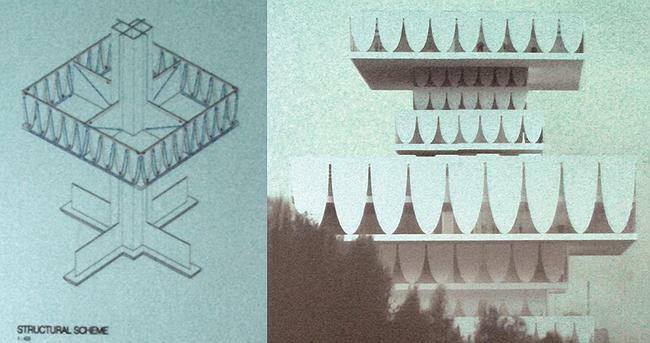 The projects cannot be joined, both Noever and Zumthor admitted that. Such alternative as joint construction is not considered. The rising stars might remain on the paper only. What decision will make the developer, region ministry and administration, which structure had been renewed the time when the jury was doing their job.